With Thanksgiving around the corner, I have to ask: Will you be serving turkey? Some of you may be thinking, “I wait 365 days a year just to send my body into turkey overload and fall asleep on the couch before dessert even hits the table.” However, some of us don’t understand the hype (shoutout to my vegan friends). 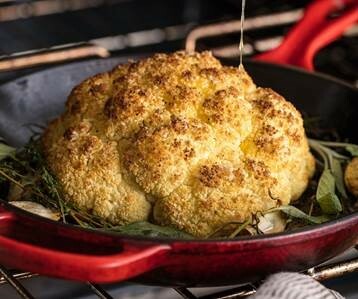 First, and likely the most shocking to all of my turkey lovers out there: Thanksgiving Cauliflower. However, this has been the most popular Thanksgiving post on my newsfeed (seriously), so if you’re looking for that veggie alternative, here you go! 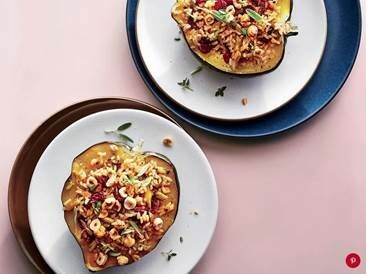 Next up, we have an Acorn Squash with Sage-Cranberry Rice Stuffing. This year, ditch the oven and break out the slow cooker. However, similar to a turkey, this dish will take seven hours to cook! The good news is, you can leave the slow cooker on while you run errands both in and out of the house. Looks delicious and convenient! Third, for my non-vegan turkey haters, A Honey Glazed Ham. The great holiday debate – Ham versus Turkey. 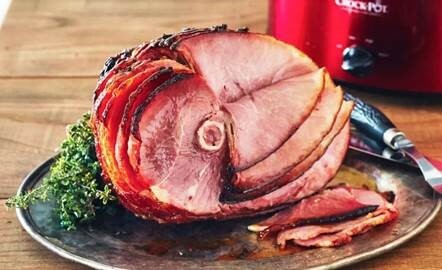 Personally, I believe ham is better suited for Christmas or Easter, but I would not be terribly mad if I sat down for dinner and saw a honey glazed ham. Not a traditional choice, but nevertheless delicious! Personally, I will forever remain on the turkey bandwagon. Matthew Kronsberg of The Wall Street Journal said it best, “Turkey strikes the difficult balance of supporting—even elevating—everything else on the plate, while still exhibiting enough character to not just disappear into the background. A great turkey is Tom Hanks, with giblets.” What a metaphor.